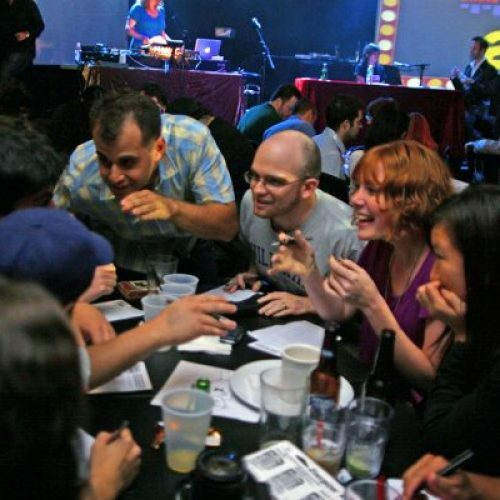 America’s premier providers of corporate and private quiz events for more than 16 years, the Big Quiz Thing brings customized trivia fun to wherever you are. From pop culture, music, history, and sports to the completely indefinable, we feature the finest in offbeat trivia puzzles, delivered by the best professional quizmasters in the business. It’s the fun and friendly bar-trivia formula expanded into big-time quiz show entertainment, nationwide! 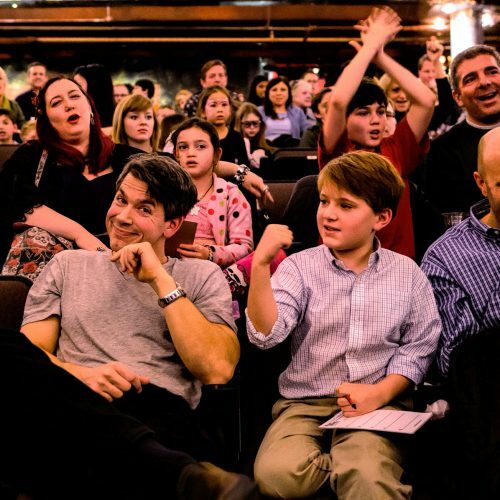 The premier trivia company of San Francisco, New York, and everywhere in between: The Big Quiz Thing is the last word in corporate quiz entertainment and an exciting option for your next event. Our trivia professionals can get your staff talking, thinking, and working together: The Big Quiz Thing’s interactive quiz productions provide the ultimate in corporate team-building fun. The best family game night ever! The Big Quiz Thing can bring the team-trivia fun to all ages: Bar/bat mitzvahs, community events, birthday celebrations, family parties, and more. Educational and entertaining: The Big Quiz Thing has customized trivia fundraisers for hundreds of worthy causes. Our live game shows are optimized to bring in the fun (and the funds)! 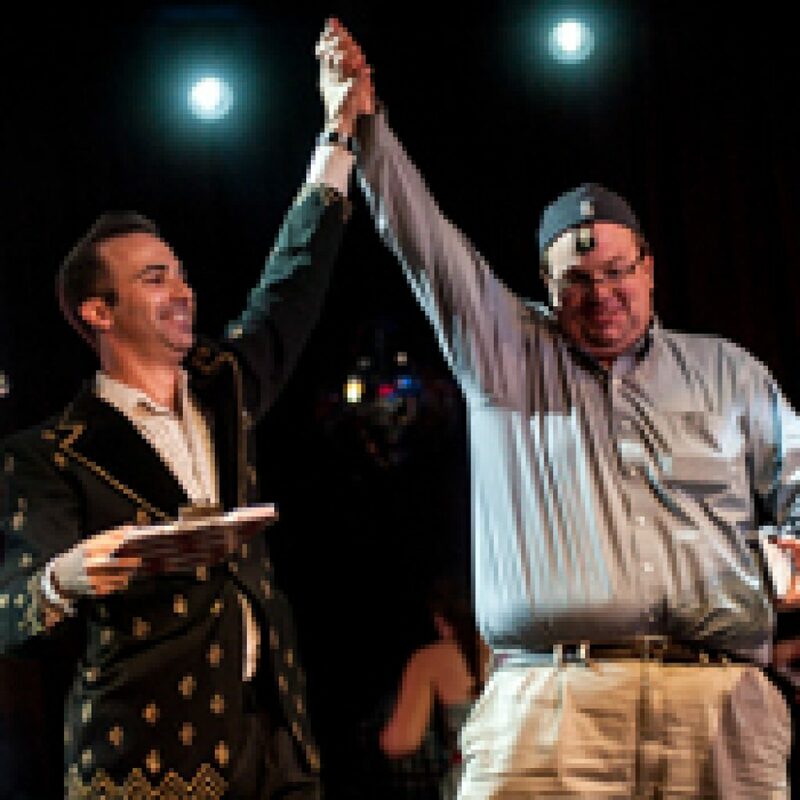 Demand more than just a guy with a microphone for your corporate trivia event: Meet our team of professional quizmasters, eager to provide your audience with a real-life game show experience! No more golf pencils and scraps of paper: Enter the future with the Big Quiz Thing’s easy-to-use, custom-made digital answer system. Every team plays via a member’s smartphone or tablet. Sign up for our mailing list and you'll receive our weekly Trivia Quiz email.